Shoemaker’s declaration comes after his short-lived campaign to keep the Fun Factory around on a short-term lease. 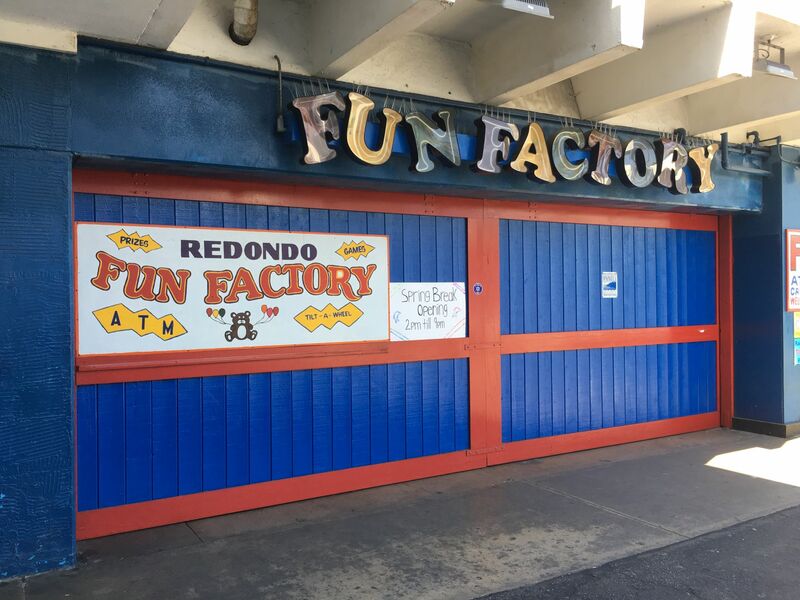 The City of Redondo Beach purchased the Fun Factory leasehold from Shoemaker’s Redondo Fisherman’s Cove Company for $9 million in Jan. 2017. It was the last piece in the puzzle for CenterCal Properties’ planned Waterfront redevelopment project. Shoemaker agreed he would leave by 2020, and that he would get a $1 million bonus from CenterCal upon the project’s completion. He was even to be given first right of refusal to operate a carousel in the project, should the City or CenterCal want one. But the project was rattled that March when voters passed a harbor-area rezoning measure and swept the project’s political opponents into office. The redevelopment was placed on hold when the City and CenterCal split in late 2017, and lawsuits began to fly. With the project all but dead and the erstwhile development partners locked in litigation, Shoemaker has been left out in the cold by the city’s “leasing freeze,” and he’s abandoned his fight. Now he’s counting down the days from his Wedges and Ledges corporate office. Shoemaker has already begun selling off equipment; what’s operation-essential will remain until September, and the rest will be auctioned off afterwards. Though the Fun Factory is like his baby, and letting it go is like watching a child leave home, Shoemaker said he’s emotionally ready to leave that nest empty.